Is Dr Rajendra Pachauri, chairman of the Inter-governmental Panel on Climate Change (IPCC), dealing with us (his global constituents, as it were) honestly? What we are seeing here … is an interesting modus vivendi — three different payments to support the chairman of the IPCC, yet each payment is made by a different organisation to a different organisation — one in the US, one in the UK and one in India. No one knows what the other is doing — except Pachauri, of course. Why were these payments made in such complex fashion? Apparently his United Nations salary is not publicly disclosed — why not? TERI Europe was engaged in the production of a report for which it must have attracted funding in the order of £70,000 and incurred considerable expense, yet it shows an income of £9,000 and an expenditure of £5,000. There was a further article on January 10, in Pachauri: conflict of interest, in which North reports on an article in the New Delhi Mail Today by journalist Ajmer Singh, critical of Pachauri. Singh remains unconvinced. 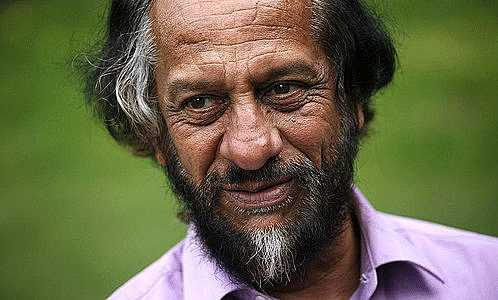 He says: “Pachauri’s position is untenable,” and goes on to detail commercial, climate-related ventures Pachauri’s companies are involved with. It is impossible that Pachauri knows nothing of these activities. In subsequent articles, North uncovers complicated financial transactions between the IPCC, the British government and Pachauri’s companies that he likens to the money-laundering transactions of organised crime. Not that there is evidence of any crimes, but the question naturally arises of why the transactions must be so circuitous — so far from normal commercial practice. There is also the strange question of why, in a report to Parliament, a payment by the UK Met Office to TERI, which was actually £1,436,162, is entered as £543,816. North has uncovered so many contracts awarded to TERI and its subsidiaries and so many connections between Pachauri, his fellow directors and big oil and energy companies, while recording flat-out denials from Pachauri that he or even his company benefits from these associations and contracts, yet he lives in about the most expensive street in all of India and exhibits a wealthy style of living, that an inquiry is already justified. What on earth will Richard North add on Sunday?